735 Garland Street has a Walk Score of 61 out of 100. This location is Somewhat Walkable so some errands can be accomplished on foot. This location is in the Rhodes Hollywood Springdale Partnership neighborhood in Memphis. Nearby parks include Lewis Center Park, Klondike Park and Vollintine Park. Explore how far you can travel by car, bus, bike and foot from 735 Garland Street. 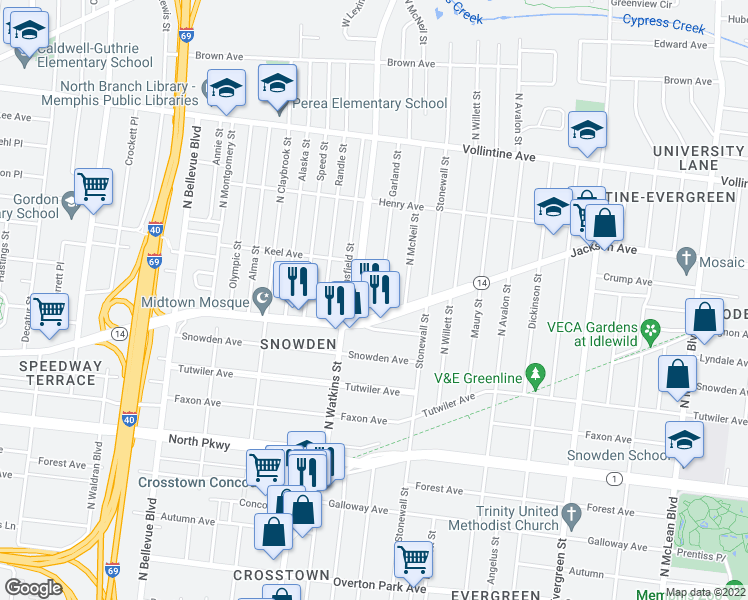 View all Rhodes Hollywood Springdale Partnership apartments on a map. A fantastic apartment - come take a look! Specials Available! 735 Garland Street is in the Rhodes Hollywood Springdale Partnership neighborhood. Rhodes Hollywood Springdale Partnership is the 44th most walkable neighborhood in Memphis with a neighborhood Walk Score of 46.